This elderly man is a straight up rock star at heart. 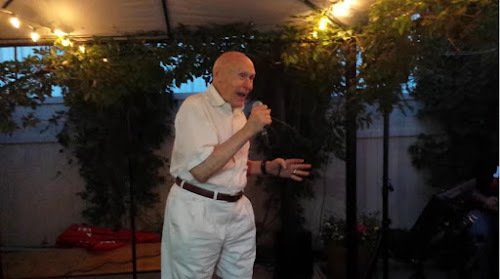 When you see an 80-year-old man hop onto the stage to sing some karaoke, you’d expect him to sing a stereotypical Queen cover or some old, obscure song that nobody understands. But this grandpa isn’t your ordinary old-timer, he is metal as f**k! He gives out an awesome rendition of Disturbed’s hit rock song, “Let The Bodies Hit The Floor.” This is some epic stuff. This is possibly the best cover of this song ever. Liked the video? Then make sure to share this with your friends on Facebook and Twitter!